The success of the business is also affected by the way company brand its product. Presently business is making huge effort in branding its product as it benefit the company in the long run. The management are making effort to build the strategy which will help in increasing the value of the company product in the eyes of the customer. The brand is the name, term, sign and symbol or design which helps in identifying goods and service of particular seller and differentiating company product from those of competitor. The brand is the mixture of tangible and intangible attribute which helps the company in creating value and also increases the profitability of the company. The report will help in identifying both qualitative as well as quantitative source of brand equity. It also outlines the customer based brand equity model of Air New Zealand. It also evaluates the various brand elements and the way it affect the brand equity of the company. It also talks about the current marketing plan adopted by the Air New Zealand to know about the company brand from the customer. Further the report evaluates the brand knowledge structure adopted by the Air New Zealand and the way it assist in creating brand equity. It also provides the ways through which the management can effectively manage the brand of its product. In the present business world the management is growing lifetime value of their customer relationship. The organization needs to concentrate in creating the brand value rather than concentrating on short term profit. The report consists of the strategies which the management of the Air New Zealand can follow to effectively manage its brand. The Air New Zealand is the national airline of New Zealand which operates schedule passenger flight to 21 domestic and 31 international destinations in 16 countries. The company has make changeover to new brand identity by creating new uniform design, new logo, new colour scheme, and new look check- in counter and lounge. The Air New Zealand uses symbol of Maori Koru which is the representative of fern frond unfolding which signifies new life growth and renewal. The company has done rebranding in the year 2012 by changing the green colour and moved to black colour which will help in resonate well with the customer and staff who identify with it as the colour of the New Zealand and the natural choice of our national airlines (Air New Zealand, 2017). The report discuss about the various sources of brand equity and the way in which CBBE model helps in effective management of the brand. It also discuss about how the way brand element helps in building brand equity and current marketing plan adopted by the company. Further the report evaluates the brand knowledge structure and the role it plays in building brand equity. Finally the report help in identifying the ways in which brand is managed to promote the business growth. The brand helps the customer reducing search cost, reduces risk, creates product association and also helps in identify the product. It also assists the organization in identification, legal protection, creating unique association, customer loyalty and also provides competitive advantage (He and Balmer, 2017). The report consists of the strategies which the management of the Air New Zealand can follow to effectively manage its brand. The management of the Air New Zealand has conducted research among the 10 customer to identify brand value of the company product among the customer. It also helps the management to identify the ways through which the company can improve brand value among the customer. The management has used Keller tool while framing the question which will help in preparing the strategy to frame the brand value of the company. The Keller model has helped in focusing on the key factor which needs to be considered while framing branding strategy which is salience, imagery, performance, feelings, judgement and resonance. The management of the Air New Zealand The interview help the management in understanding the series of steps and the key factor which the customer examine while making purchase decision. It has also helps in how the customer view company product and how they classify the product from those of the competitor. Which help in understanding the current position of the company brand in the eyes of the customer? The interview has also help in assessing the experience of the customer and the identifying the short fall which they face while using the company services. This helps the management of the Air New Zealand in assessing the current performance in the market. It has also helped in identifying the loyalty of the customer towards the brand and identifying that the company needs to make changes in the existing process. The interview has helped the company in identifying the ways through which it can improve its performance which will help in increasing brand credibility. It has also helped in ensuring that the current market strategy helps in communicating the brand relevance to the targeted customer. The interview has helped in identifying the current unique selling feature of the company over which they needs to concentrate to increase its market share. It has also helped in identifying the strength of the competitor and identifying the reason due to which customer are moving towards the services of the competitor. It has also help in ascertaining the factor over which the Air New Zealand needs to focus to build the loyalty of the customer towards company service which will benefit the company in the long run. Brand equity is referred as the value which the company creates forms the product which has recognized name when compare to other similar event. It is the fact which differentiate outcome of the result of the marketing of as product and service because of its brand name in comparison to other similar product and service. Air New Zealand can easily create brand equity for their services by making it recognized and ensuring that they are of superior quality and reliability. As per Huang and Sarigöllü (2014), brand equity describe the value of having well known brand which can help in generating more product from the brand with that brand name in comparison to other brand which is less known as the customer know that the product with the good brand name is better. There are two ways through which brand equity can be attained. Qualitative research technique- The qualitative research technique is applied to identify possible brand association and the sources of brand equity. These are relatively unstructured measurement approach where a range of possible responses are permitted. Free association- The best way through which Air New Zealand can profile its brand association involves free association task when the views of the customer are obtained without any more specific information related to the product category (Chatzipanagiotou, et. Al., 2016).The responses to this customer help in identifying the range of possible associates and assemble brand profile. Projective technique- The projective technique is the tool to identify the opinion and the feeling of the consumer when they are unwilling or unable to express themselves on these matters. In projective technique customer are provided with the incomplete stimulus and asked to complete them so that they can make senses or they are asked to make senses over it which will help in revealing their true belief and feeling (Castro, et. Al., 2014). This technique can facilitate the Air New Zealand with the useful insight which will help in obtaining more complete picture of the consumer and their relationship with the brand. Brand personality and relationship- The brand personality is the measure which can be used for the purpose of assembling the brand profile and are the traits that can be attributed to the brand. As per Ailawadi (2015), the simplest way to identify the brand personality is through obtaining open- ended response which will help in obtaining consumer views about the product. Observational approach – This approach helps in collecting fresh data by directly observing the customer at the time of shopping as they consume product to capture each and every point of their behaviour. The management of the Air New Zealand can observe the procedure which the consumer follows while making purchase decision to identify the value of the brand. Quantitative research technique- The quantitative helps in collecting verbal responses from the customer and involves various type of scalable question so that the numerical representation and summarizing can be made. These measures help in tracking studies that monitor brand knowledge structure of consumer over time. Awareness- It is related to the strength of the brand memory reflected by consumer ability to identify various brand under different condition (Habibi, et. Al., 2014). Brand awareness is the likelihood that the brand will come in mind of the customer at the time of making purchase decision. Recognition- The recognition involves that the consumer can be able to discriminate the company product from those of competitor and from that which they have previously seen. It relates to ability of the customer to identify the brand under various conditions and can also involve identification of any of the brand element. The brand recognition gives consumer the idea of the brand and ask them that if they have previously seen the similar product. Recall- The brand recall refers to ability of the customer to identify the brand under various circumstances which helps the customer in retrieving the actual brand element from memory when given some related probe and cue. It requires more effort in comparison to the brand recognition because the consumer are not just given the brand element and asked to discriminate it from the one which they have already seen. Image – In the words of Zarantonello, et. Al. (2014), the brand awareness is not sufficient to build brand equity. The image of the brand also plays a huge role in creating brand equity. The vital important part of the brand is its image as reflected by the association that the consumer hold toward the brand. The Air New Zealand can classify brand association under different dimension. The management of the Air New Zealand has used the customer- based brand equity model to create the strategy for effective management of the brand. Keller, (2016), puts the model in four-level pyramid where the middle two layers are divided equally between the two factors. The Air New Zealand to build strong brand as per CBBE model needs to follow series of steps where each steps depends upon the success with which the previous step was implicated. These steps involve fulfilling certain objective from both existing as well as previous customer. In the first step Air New Zealand needs to ensure identification of the brand with the customer and the associates of the brand in customer mind with the specific product class or customer need. In the second step the management of the Air New Zealand needs to make effort that it establish totality of the brand meaning in the minds of the customer. During the third step the Air New Zealand needs to make effort elicit the proper customer responses to their brand identity and brand meaning and obtain the view from the customer in relation to the performance of the business. The final step involves creating loyalty relationship with the customer and the brand (Heckler, et. Al., 2014 ). The following steps represent the set of fundamental question that the consumer ask in relation to the brand which involves brand identity, brand meaning, brand responses and brand relationship. The management needs to follow these steps in sequence to identify the meaning to response to relationship. The meaning cannot be established unless the brand identity has been established. The responses are depended on the meaning and cannot be established unless the right meaning has been identified. The building of the relationship completely depends upon the proper responses obtained from the customer. These all the steps are highly interrelated with each other and the branding strategy highly depends upon the way each activity is executed. The management of the Air New Zealand can effectively build equity by concentrating on each of the brand element. The brand element is the visual or verbal information which serves to identify and differentiate the product on certain basis from those of competitor. The brand element will help the management in building effective strategy by enhancing brand awareness and forming strong, unique and favourable brand association. The best way of the brand building is through contribution of the brand element and what the consumer will think about the product and service if they only know about the brand name and associate logo. The brand name is the basic through which the brand equity can be built. It is the critical core sign of the brand which is the basis for the awareness and communication effort. The branding is highly affected by visually element which helps in building brand equity especially in term of brand awareness. It is essential in establishing and maintaining the presence in the market place (Datta, et. Al., 2016). The brand equity also depends upon the character which is often colourful and rich in imagery which helps in getting attention and can contribute to brand equity. They can help in breaking the market place clutter and also help in communicating key product benefit. The character acts as the shortcut reference for the brand and creates greater visibility than a static logo. The container in which the product is packaged also plays a huge role in branding the product. The marketing program is the series of the steps which helps the organization in attaining its goals and objective. It contains the strategic action for each part of the market strategy provides direction towards company mission. The program enhances the awareness and establishes the desired brand image which benefits the company in the long run. The following are the key element of the marketing strategy. Product strategy- The Air New Zealand needs to make effort to improve the quality of service which will help the company in improving their brand value in the market. The product strategy creates the great influence on the experience of the customer and helps in building trust of the customer. Pricing strategy- The Air New Zealand has good brand image due to which have less price sensitivity and market share and price premium. The company respond to the price cut in the better way and is less vulnerable to price increase (Gensler, et. Al., 2013). The Air New Zealand due to its good brand image is not affected by the price reduction of the lower brand and can easily steal the share from the lower quality brand by creating effective branding strategy. Channel strategy- The Air New Zealand has market its product advertising its services through various media which has helped the company to communicate the benefit of the company product to huge population at lowest cost. Communication strategy – The Company has followed mixed approach through which the company communicate benefit to its customer. The brand knowledge structure followed by Air New Zealand has helped the company in effective marketing of its product in the market. The brand knowledge structure helps in identifying how well the brand element serves the function of identifying the product and helps in focusing on brand image and brand awareness. The brand awareness of the Air New Zealand includes recognition versus recall and awareness depth versus breath. The brand awareness is the necessary condition for inclusion in the set of brand being considered during the purchase and is the sufficient condition for choice in low-involvement decision setting. It also influences the nature and strength of the association and also helps in building trust of the customer. Many of the times brand awareness is not enough to attract the customer the Air New Zealand needs to concentrate on the image of the brand. The brand image helps in creating association between the company and customer by concentrating on attribute, benefit and attitude of the customer (Freling and Forbes, 2013). 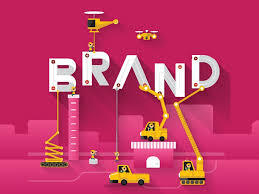 The brand image creates the favourability of the brand which helps the company in attracting new customer. It also helps in strengthening the brand and assists the management in differentiating the company product from those of competitor. To effectively manage the brand the management needs to concentrate on the entire key element which affects the brand of the company. The management can effectively manage its brand by finding the right marketing vehicle which helps in communicating the benefit of the company product to the targeted customer. The management of Air New Zealand haws utilized the new media to access wide range of the customer at the lowest cost. It has also effectively managed its brand by creating the high profile which helps in creating and retaining the company value among the customer. The company can also effectively manage its brand by striving for consistency in image and reputation in managing your brand. This will help the company in building good relation with the customer and also help in attracting new customer towards the company product. So it can be concluded from the above strategy that the brand management plays a key role in stimulating the demand of the company product and service. 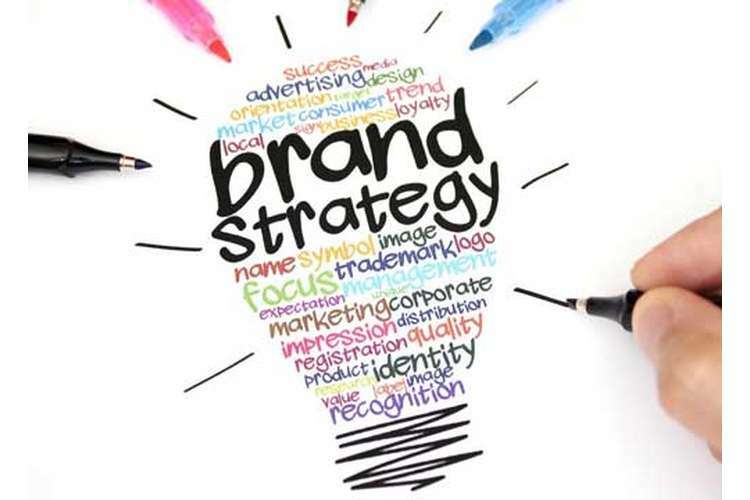 For effective strategy brand management the company needs to consider the entire key element which will affect the branding strategy of the company. The report has also helped in understanding the benefit of the CBBE model to effectively manage the promotion of the brand. It also helps in identifying the role of brand knowledge in creating brand equity. Air Newzealand, 2017, “About us”, [Online] Air Newzealand. Available at: https://www.airnewzealand.co.nz/about-air-new-zealand [Accessed: 25 January 2017]. Castro, V.A., Giraldi, J.D.M.E. and Galina, S.V.R., 2014. Revisão Sistemática de Trabalhos Acadêmicos Internacionais sobre Marca-País como Fonte de Vantagem Competitiva. Turismo-Visão e Ação, 16(1), pp.28-60. Chatzipanagiotou, K., Veloutsou, C. and Christodoulides, G., 2016. Decoding the complexity of the consumer-based brand equity process. Journal of Business Research, 69(11), pp.5479-5486. Datta, H., Ailawadi, K.L. and Heerde, H.J., 2016. How Well Does Consumer-Based Brand Equity Align with Sales-Based Brand Equity and Marketing Mix Response?. Journal of Marketing. Freling, T.H. and Forbes, L.P., 2013. An empirical analysis of the brand personality effect. Journal of Product & Brand Management. Gensler, S., Völckner, F., Liu-Thompkins, Y. and Wiertz, C., 2013. Managing brands in the social media environment. Journal of Interactive Marketing, 27(4), pp.242-256. Habibi, M.R., Laroche, M. and Richard, M.O., 2014. Brand communities based in social media: How unique are they? Evidence from two exemplary brand communities. International Journal of Information Management, 34(2), pp.123-132. He, H.W. and Balmer, J.M., 2017. Alliance Brands: Building Corporate Brands through Strategic Alliances?. In Advances in Corporate Branding (pp. 72-90). Palgrave Macmillan UK. Heckler, S.E., Keller, K.L., Houston, M.J. and Avery, J., 2014. Building brand knowledge structures: Elaboration and interference effects on the processing of sequentially advertised brand benefit claims. Journal of Marketing Communications, 20(3), pp.176-196. Huang, R. and Sarigöllü, E., 2014. How brand awareness relates to market outcome, brand equity, and the marketing mix. In Fashion Branding and Consumer Behaviors (pp. 113-132). Springer New York. Keller, K.L., 2016. Reflections on customer-based brand equity: perspectives, progress, and priorities. AMS review, 6(1-2), pp.1-16. Schultz, D., Patti, C.H. and Kitchen, P.J., 2013. The evolution of integrated marketing communications: The customer-driven marketplace. Routledge. Zarantonello, L., Schmitt, B.H. and Jedidi, K., 2014. How to Advertise and Build Brand Knowledge Globally. Journal of advertising research, 54(4), pp.420-434.